Forces last night made preparations for demolition of house of one of the terrorists in attack during which Hadas Malka murdered. 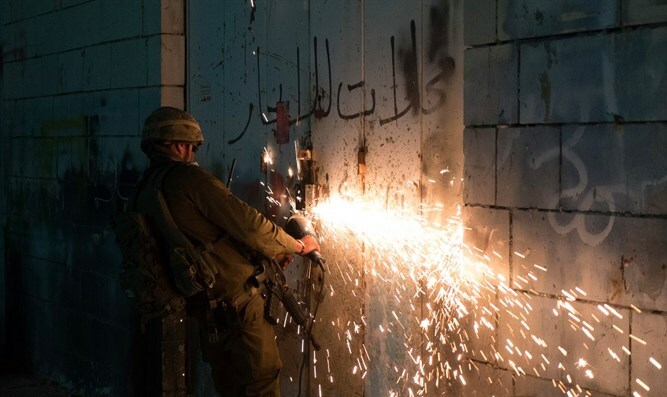 IDF forces conducted last night in the village of Dir Abu Mashal in Samaria an engineering mapping of the house of Adael Hassan Ahmad Ankosh, one of the terrorists who committed the combination attack at Damascus Gate during which Border Policewoman Hadas Malka was murdered. In addition, 2 weapons factories were shut down and a lathes for making weapons were confiscated in Kfar Aram. Hadas began serving in the Border Police in 2012, after spending seven months in the Navy. She was released from mandatory service in 2015, and signed on as a career officer in March 2016. She left behind her parents, David and Geula, as well as her brothers Tamir and Guy and sisters Shaked, Neta, and Gefen.